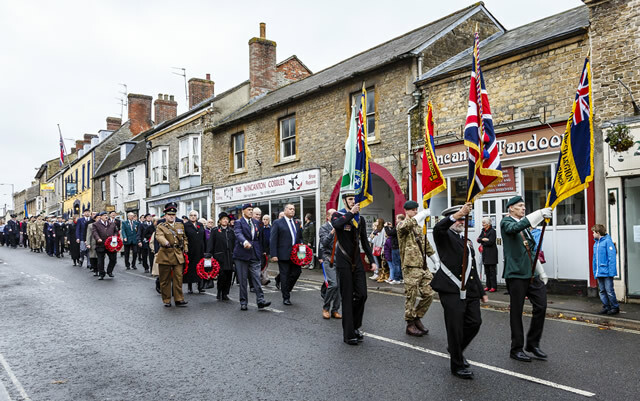 Remembrance Sunday 12th November in Wincanton this year takes a slightly different form with two ceremonies taking place. The first is the Regimental Remembrance Service for 1 Regiment Army Air Corps; the service commencing at 10:30am in the Parish Church of St. Peter and St. Paul on Church Street. The public are invited to attend and take vacant places in the church. Prior to the service there will be a parade by the Regiment through the town which marches off from the Memorial Hall at 10am and returns to the Memorial Hall at approximately 11:45am. 1 Regiment Army Air Corps hold the Freedom of Wincanton and are great supporters of the local community. In the afternoon, Wincanton holds its traditional Royal British Legion Remembrance Parade which assembles at the Memorial Hall at 2:15pm and marches off at 2:30pm. The parade, led by Wincanton Silver Band, marches through the High Street and down Church Street to the Parish Church. Local youth organisations and civic groups will take part as well as veterans. The duration of each parade is approximately 5 to 10 minutes.